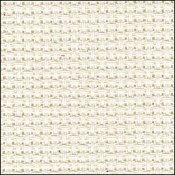 Natural Aida 14, 30x2yds, Charles Craft  - $31.50 : Yarn Tree, Your wholesale source for cross stitch supplies. Item 7583. Natural 30" x 2 Yard Tube Charles Craft Aida 14. Classic Reserve is Charles Craft’s finest cross stitch aida. Woven from 100% cotton yarn. Up to 33% heavier than economy fabrics.